There are fabrics that never go out of style. One of them, ready to win back a place in the front row is the velvet, an evergreen often forgotten, sometimes underestimated. There are a few clothes and suit made of velvet, although some brands have already decided to dedicate an entire collection to this tissue. For sure, in the upcoming seasons it presents itself as the undisputed star, preparing in the meantime his rise. The best colors to match to the velvet of course will remain of course black, followed by nuances like burgundy, green, gray and blue in all its varieties. For most vocal tones it is always a good idea to think well the outfit that you are going to wear. 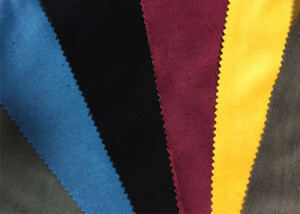 Defined by definition a fabric with a strong personality, velvet will be worn with great style. For that reason also it requires enormous creativity to be able to show off enviable looks and really original. Before any choice, then, it is required careful consideration, not only of the colors but also of the variants: a ribbed, striped, matte and glossy, even in extra version, the latter is currently the most in demand. Lighter than the classical variant, it ensures a better fit and is mainly used as a dust coat to wear under the coat. However, it is located in other garments such as shirts, jackets, robes and even underwear (with and without lace). The strength of this tissue, never really gone out of fashion and that is going back to the great protagonist is just his style charming, delicate and harmonious.